A welcome gift for your precious baby boy or girl. 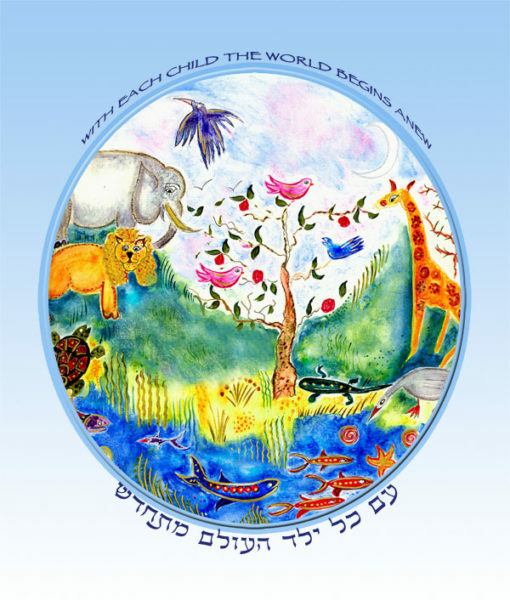 “With Each Child the World Begins Anew” All the animals welcome the new baby. 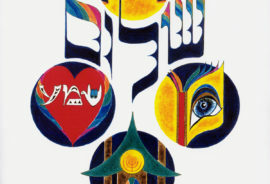 The beautiful phrase is from the Talmud. This is available in a double mat. 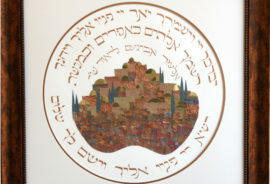 This can be personalized with the child’s English and/or Hebrew name, plus the birth date, you can find it here. It is also available with a pink background, if you wish. It is printed with archival ink on fine art velvet paper. It measures 12 x 14″ in the double mat (excluding the frame). I bought this for my niece and my sister loves it. they said it was the most thoughtful baby present. It now hangs in the nursery. I’ve purchased this many time for every new baby in my life – for my granchildre, for my friend’s grandchildren and for great niece and newphews. It is always welcomed and looks beautiful in a child’s nursery. I love the words and I love the image. This is the third or fourth I have ordered personalized for newborns. They are beautiful and will be on display for many years!